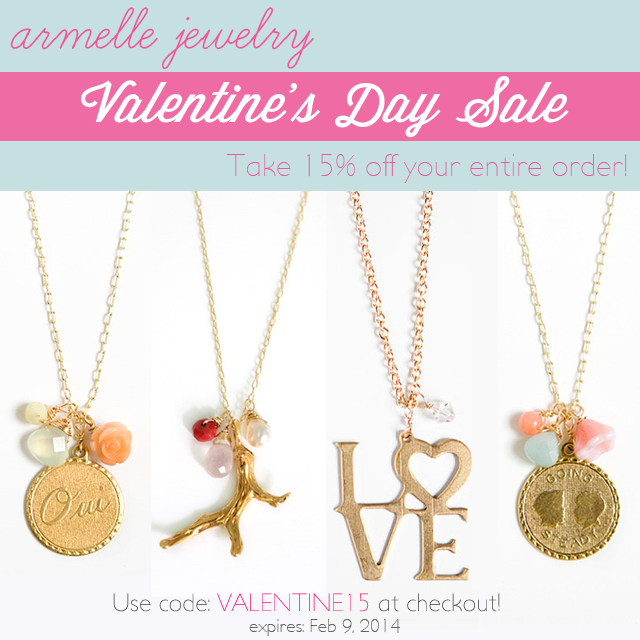 Just wanted to pop in and let you know about a big Valentine’s Day Sale I am having in my Armelle Jewelry shop! Take 15% off your entire order now through Sunday February 9, 2014! Be sure to use VALENTINE15 code at checkout! Perfect to stock up on some gifts for your Valentine.